And if you missed the great Southern California Super Bloom of 2017, don’t despair. The great Southern California Super Bloom of 2019 is now underway. Hillsides awash with great slashes of color. Teeming mobs angling for the perfect photo. Slobs rolling around in the flowers. Influencers striking poses. Rich sybarites arriving even by helicopter. Traffic jams on remote dirt roads in the Temblor Range. Land Rovers stuck in the mud. 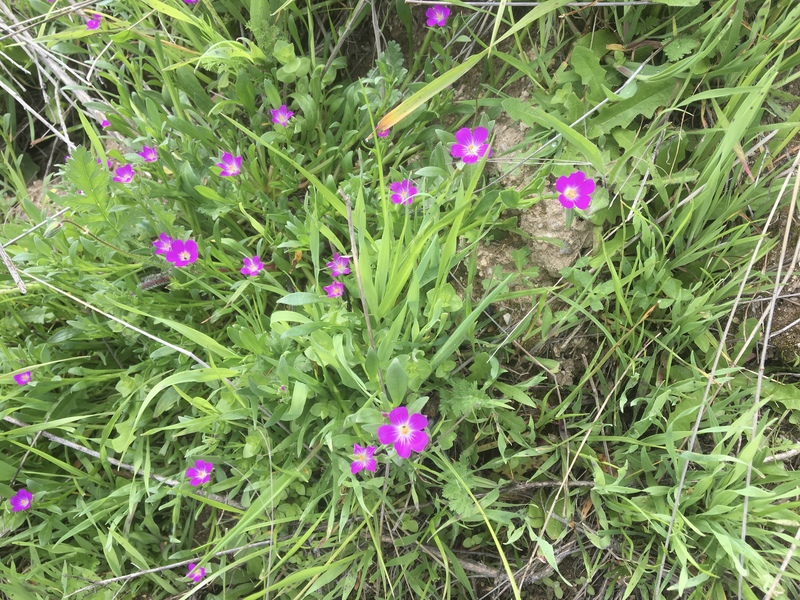 But here in Central California, wildflower season is still just wildflower season. Some years are more spectacular than others, but all are great for those who know where to look and who have the patience to seek out the hidden gems. Here are a few things currently blooming in our less-than-spectacular-so-please-don’t-come-and-trample-our-flowers neck of the woods. 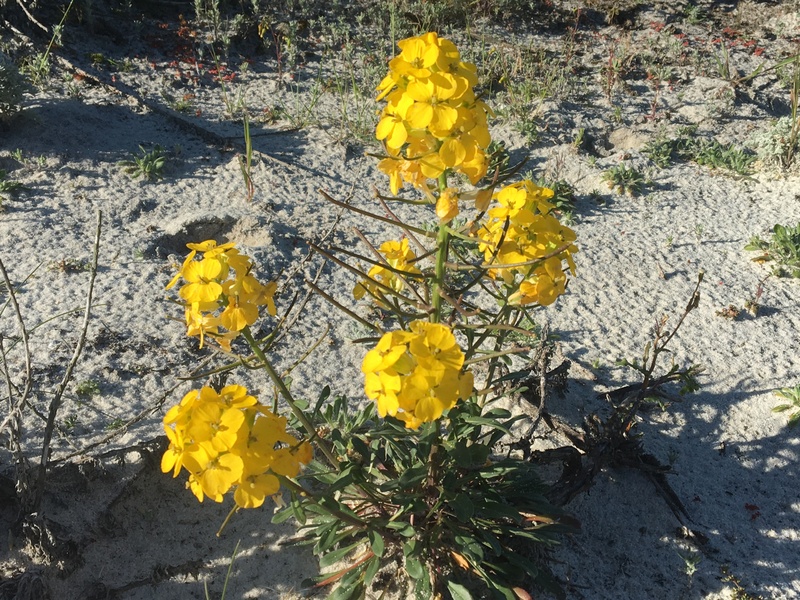 Federally listed endangered species Menzies’ Wallflower (Erysimum menziesii), does not occur south of Cypress Point on the Monterey Peninsula. 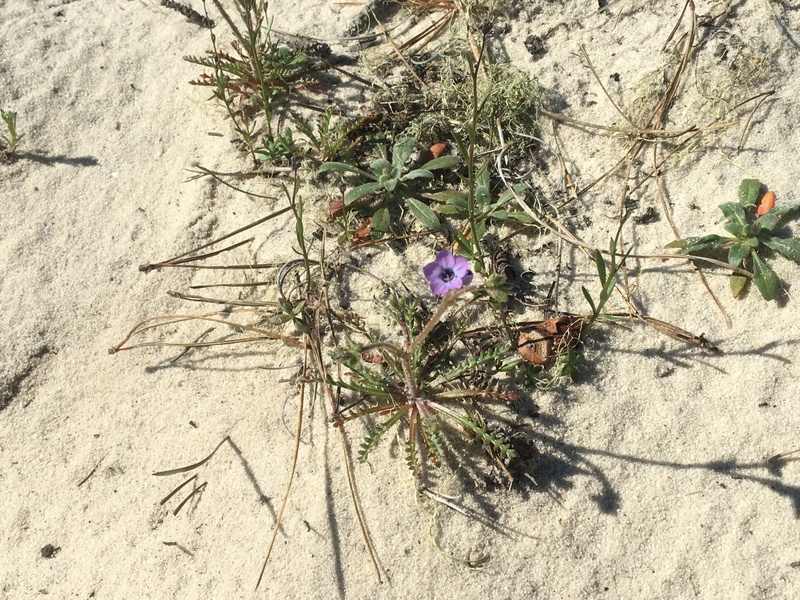 Already a rarity when the first Europeans arrived in California, dune development has placed this plant’s continued existence in extreme jeopardy. Sand Gilia (Gilia tenuiflora ssp. arenaria), another endangered denizen of the Monterey Bay dunes, does not occur outside of Monterey County. 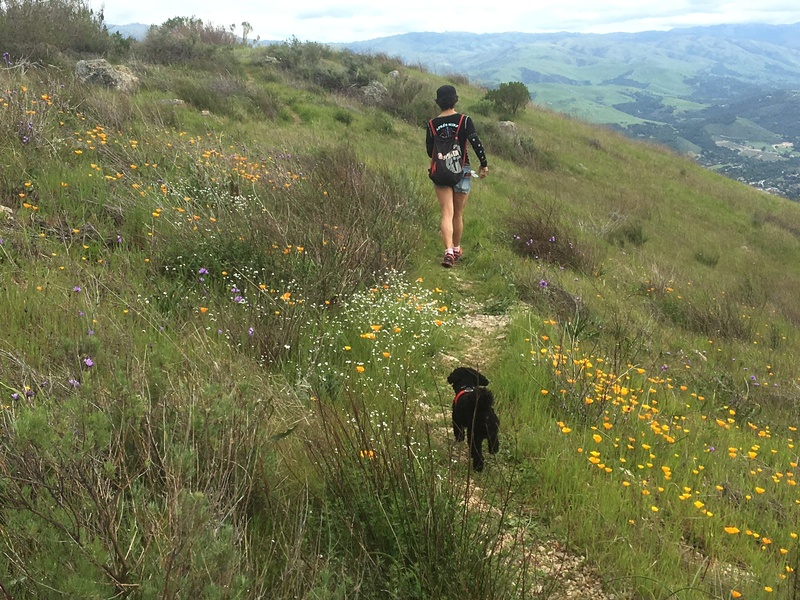 It may not be a Super Bloom, but there is plenty afoot in the hills, as well. 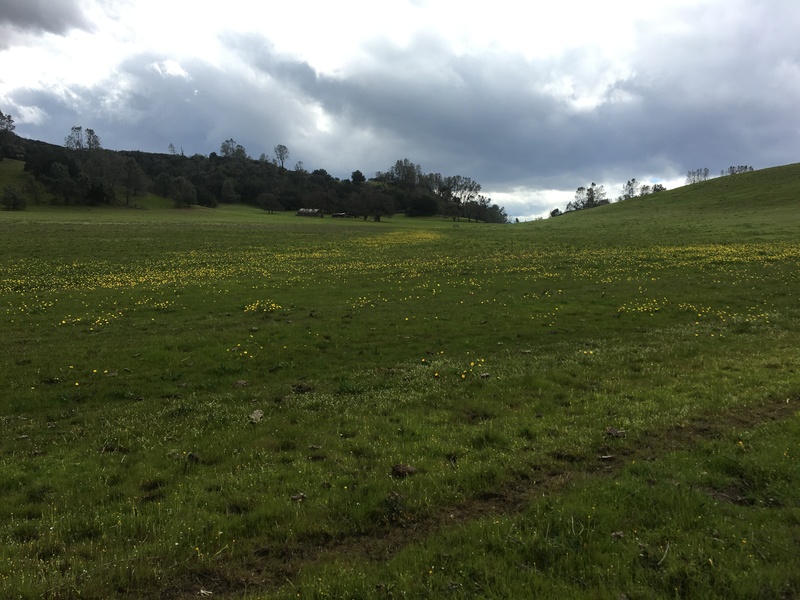 East of the Salinas Valley, California Buttercups (Ranunculus californicus) splash a field in the Gabilan Range with gold. 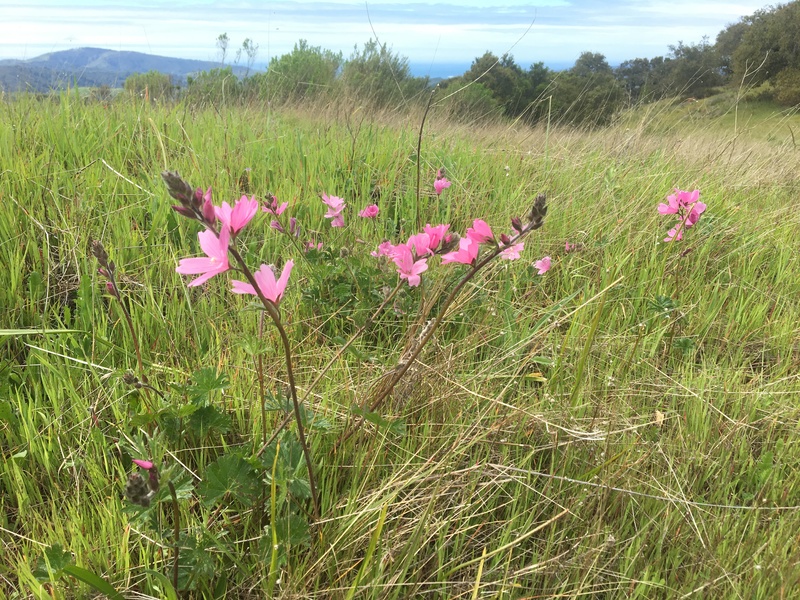 Dwarf Checkerbloom (Sidelcea malviflora) is currently brightening fields throughout the Central Coast region. Red Maids (Calandrinia menziesii) are another grassland flower currently in prolific bloom. 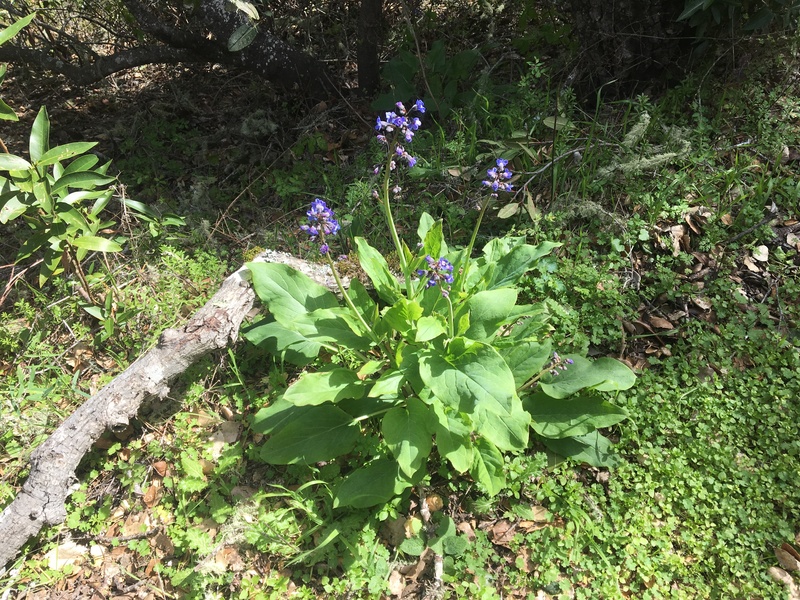 Woodland loving Pacific Hound’s Tongue (Cynoglossum grande) is seldom seen south of Monterey County. 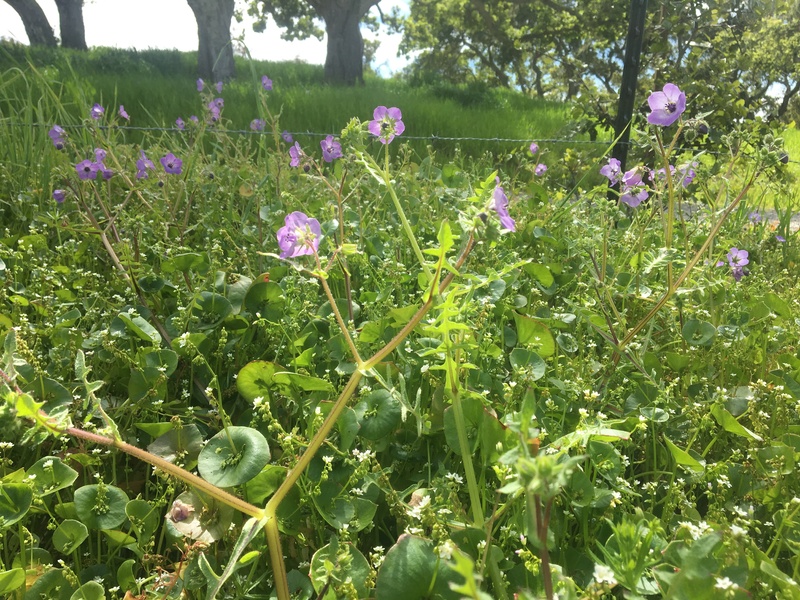 Fiesta Flower (Pholistoma auritum), a Southern California flower that doesn’t get much further north than San Francisco, is coming into vigorous bloom, as well. 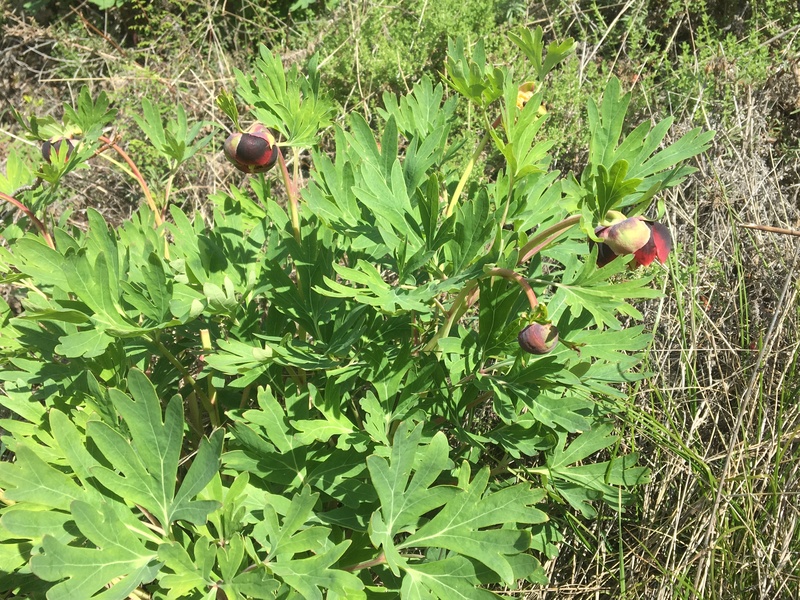 And speaking of Southern California, how about California Peony (Paeonia californica), a plant that barely makes it into Monterey County at all. 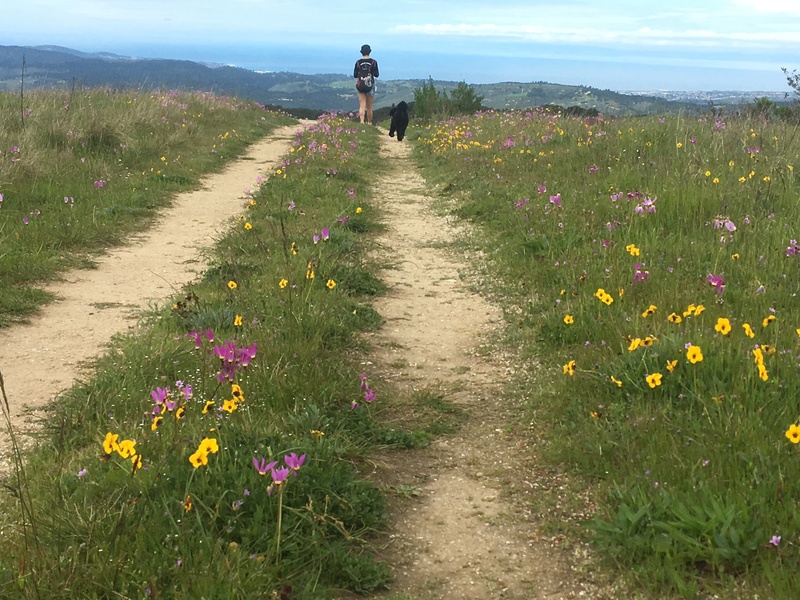 These are blooming on Big Sur’s South Coast near the San Luis Obispo County line. 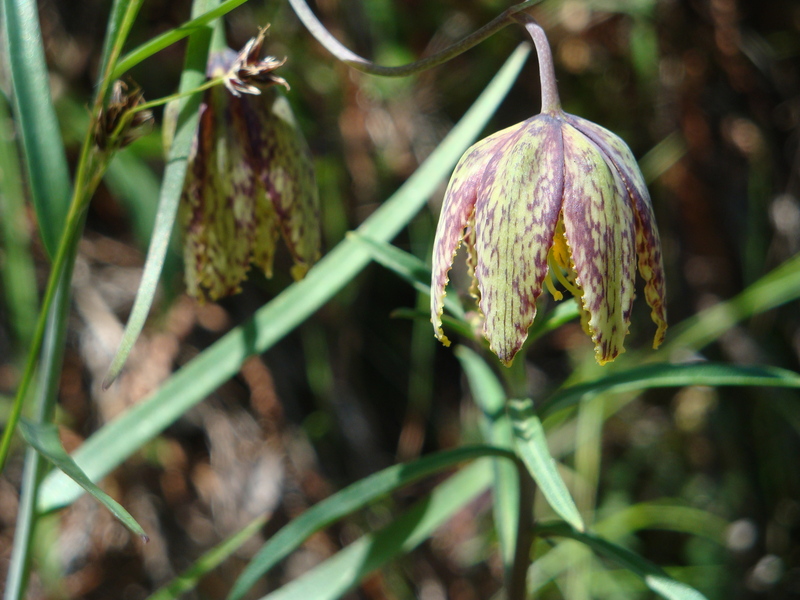 Chocolate Lily (Fritillaria biflora) is uncommon and easily overlooked, but can currently be found blooming along the South Coast. 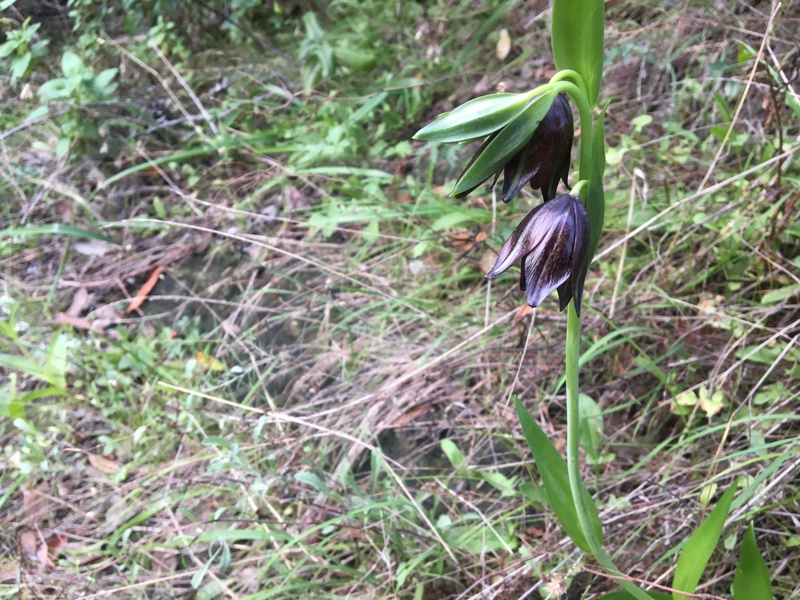 North of the Big Sur River, the equally elusive and closely-related Checker Lily (Fritillaria affinis) seems to take over. And it’s not just about the flowers. 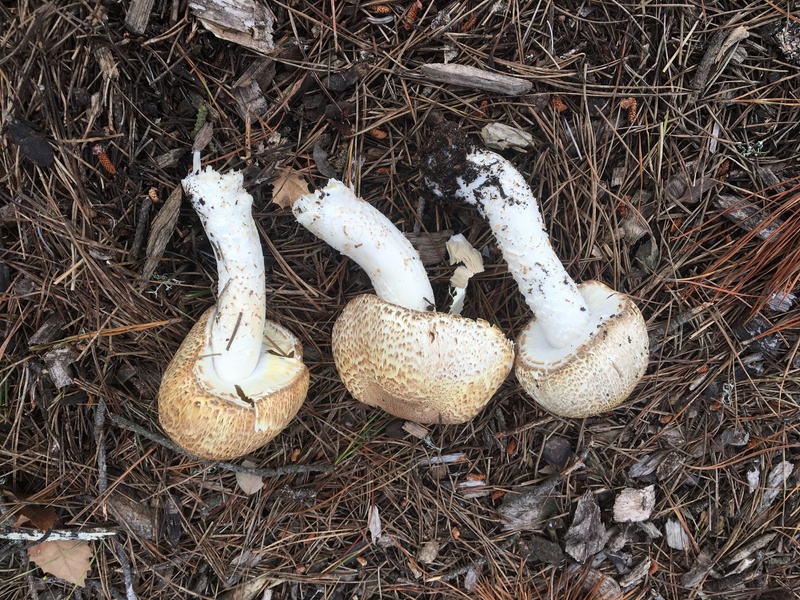 Warm spring rains are driving up a crop of delectable Agaricus augustus. Not to mention Spring Amanita (Amanita velosa). Highly prized by some, but closely related to, and closely resembling, species that are DEADLY POISONOUS, so do me a favor and don’t even think about gathering them for the table based on this photo. April fields: Padre’s Shooting Stars (Primula clevelandii) and California Golden Violets (Viola pedunculata). 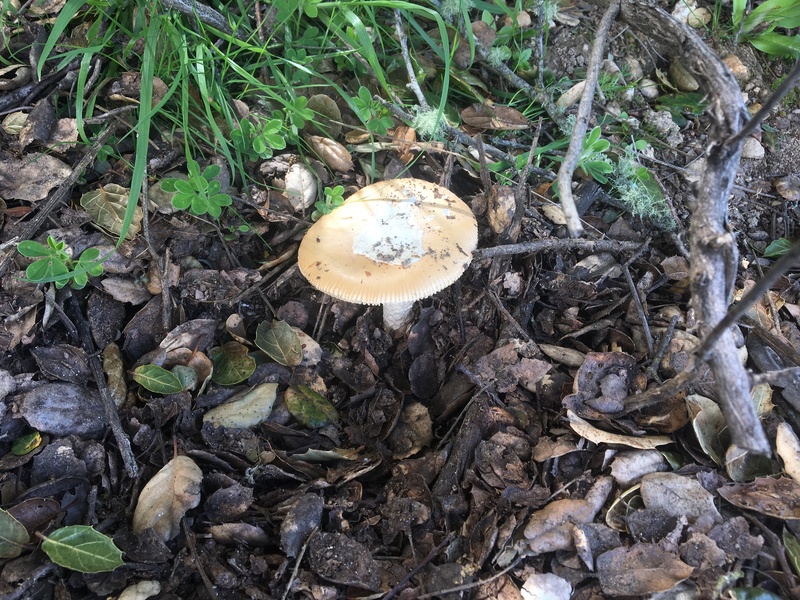 This entry was posted on Tuesday, April 9th, 2019 at 9:17 pm and is filed under Big Sur, Fungus, Gabilans, On Foot, Plants, Santa Lucias, Wildflowers. You can follow any responses to this entry through the RSS 2.0 feed. You can leave a response, or trackback from your own site. Nice. I know of another oft overlooked spot of some of these uncommon or rare ones…but I am NOT telling…at least publicly!